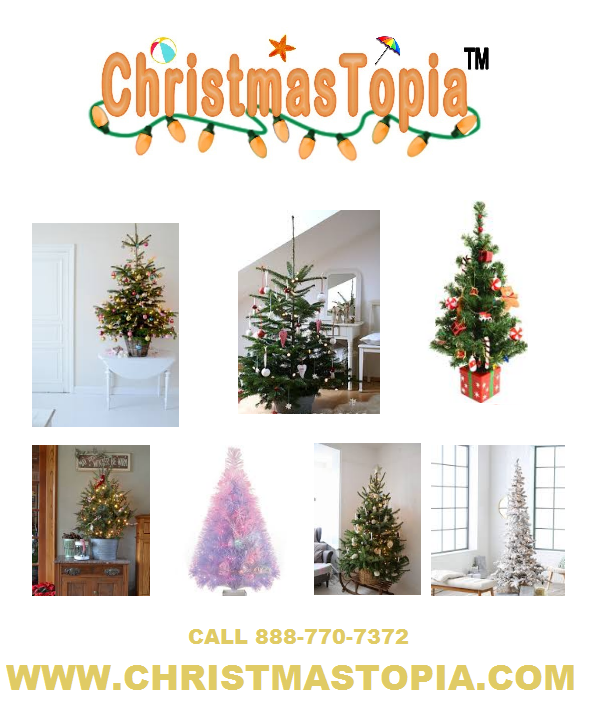 Welcome back to our series of posts dedicated to the promotion and sale of the Team Santa Inc.‎ seasonal/holiday related product catalog. 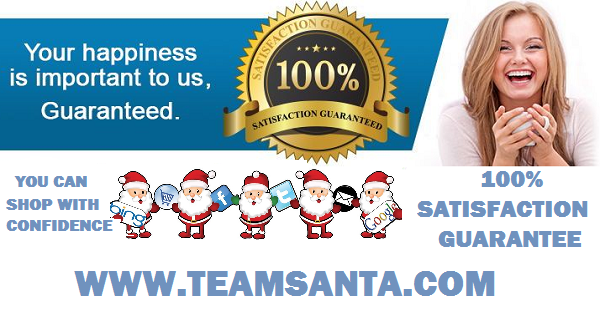 Team Santa Inc. owns and operates three online stores that are all dedicated to decorating for the holidays. The next holiday as you know is HALLOWEEN! That means spooky, scary lighted Halloween decorations. Today’s featured product is the “Jumbo Spooky Spider Lighted Halloween Decoration“. This decoration was just introduced in 2017 and got off to a fast start. It’s just so cool. LED lights are meticulously pre-installed on the white steel frame. 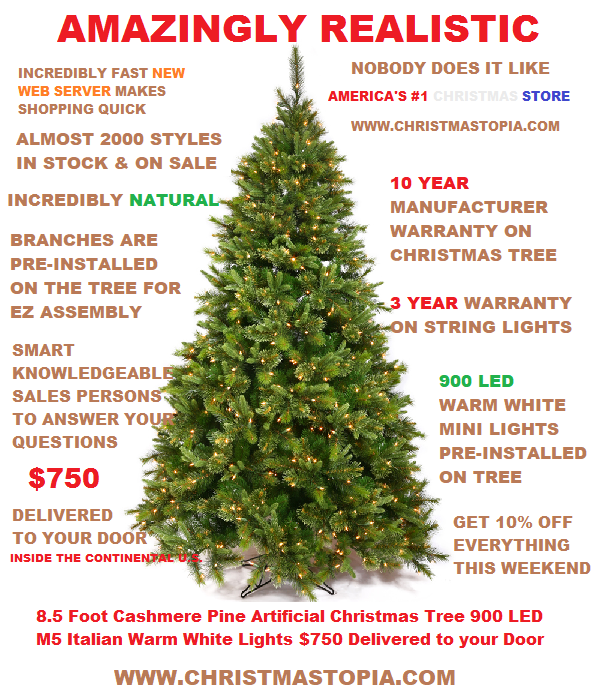 This product is shipped via FEDEX. You can expect you receive your decoration in approximately one week. 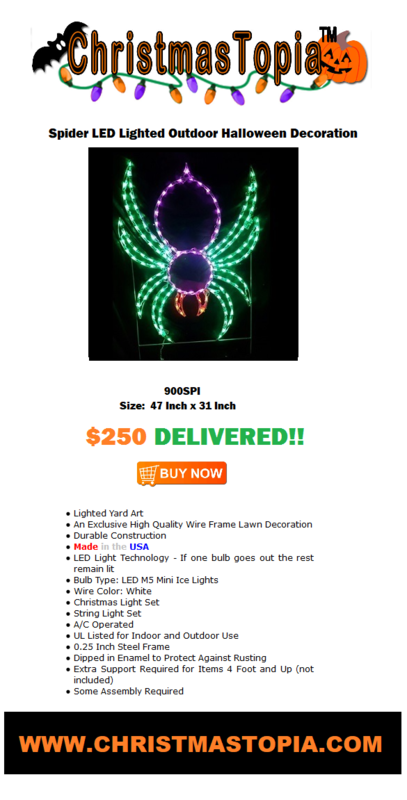 The colors used on the LED Lighted Scary Spooky Spider Halloween Decoration are the Halloween ready purple, green and orange. Each mini light is an LED diode. The colors that are produced on the spider are absolutely, incredibly vibrant. The Jumbo lighted spider is big too! At 47 inches this spider is one inch shy of 4 feet. 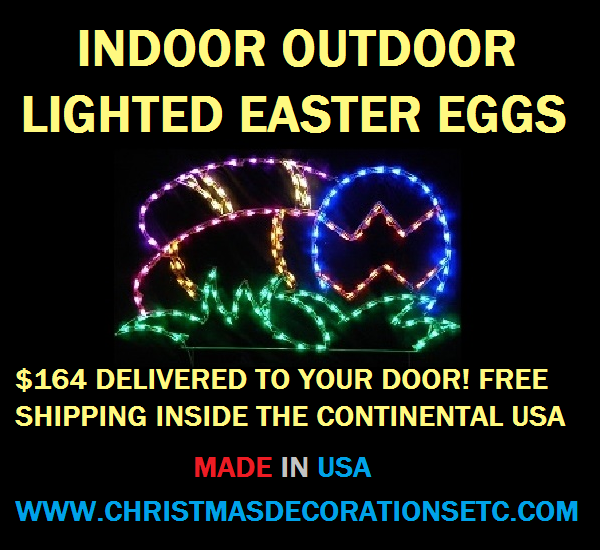 You can use this lighted spider anywhere you like. Both indoors and outdoors. Hang the spider on a fence or hang it from your railing. 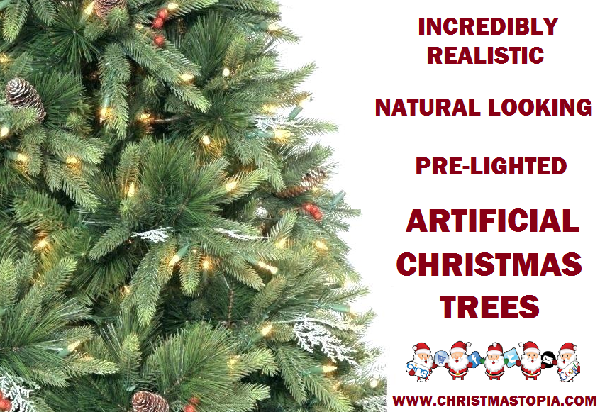 You can use it in the yard because the product is almost impervious to the elements. The best thing about the Lighted Scary Spooky Spider Halloween Decoration is that it is made in America by an American labor force. These spiders are so cool that we are selling them as indoor Halloween props because the LED bulbs do not get warm so they are perfect to use in a visual merchandise display. 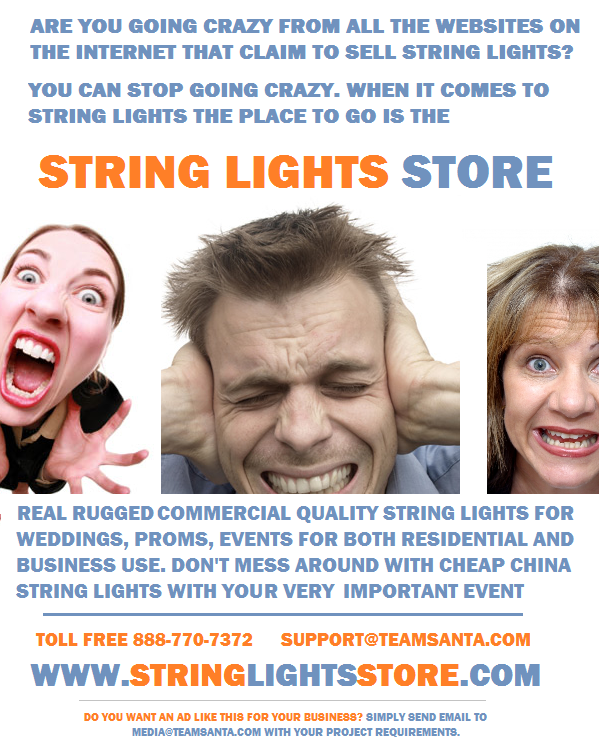 I promise that you will not be dissapointed with this lighted Halloween decoration. 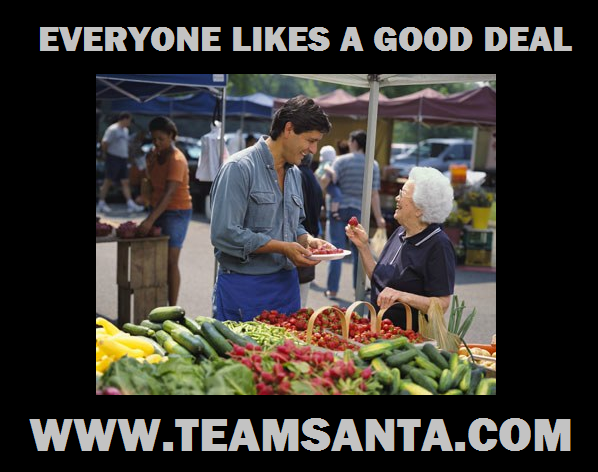 Come by and just browse the Team Santa Inc. offerings. I am sure that you will find something spooky for your Halloween decorations display.